I can make another one, but it won't look anything like this one! Double Extra Large (XXL, 2XL) Gildan Ultra 6.1oz PFD Cotton T-shirt folded and dyed by Greg Anderson of DyeMonster during 2017. The images are created through careful and precise folding and binding of the shirt which is then expertly-dyed with Procion-type fiber reactive dyes for permanence and brilliance. The shirt has been fully rinsed and is ready to proudly wear. This is the exact shirt you will receive and will ship immediately upon payment. No two are exactly alike - each is a unique piece of artwear. 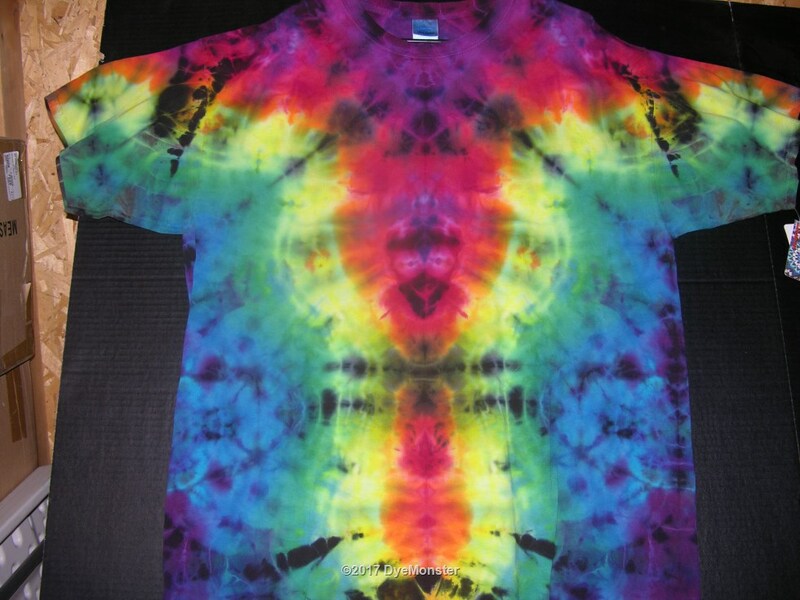 If you would like a similar shirt in a different size, please contact me at greg@dyemonster.com for details.